Red frame door, Swinburne Art School. 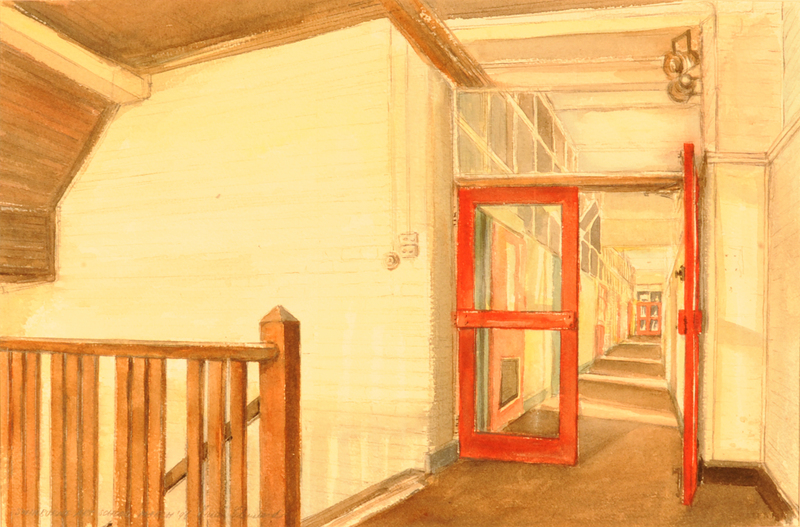 One of a series of Brian Cleveland's signed pastel and watercolour drawings of the Swinburne Art School, featuring a red frame door. The building was designed by architect Robert J. Haddon, 1917.